Rachel Miller is the creator of the highly successful Moolah Marketing company focused on social media marketing in Facebook – she has grown her own Facebook pages to well over a million several times. Recently she created an online training course to share her strategy and Facebook secrets with entrepreneurs and business owners. Christopher Anderson, the editor of Wired magazine, is famous for his article called “The Long Tail, explaining why an entrepreneur should have at least 1,000 true fans in their email list for their successful online marketing. Rachel has now demonstrated in her own company and thousands of others who have studied her techniques that in social media marketing 100 true fans on Facebook is the new foundation for success. If you are interested in Rachel’s Audience Growth Strategy https://pw639.isrefer.com/go/growth-pack/socialmedia/ there you’ll find videos with three major actions to take including downloadable lists of the top 25 viral titles you can use for your specific audience, the 25 best conversation starters to grow your Facebook group’s engagement plus the Banned List of phrases to avoid. DC Life Magazine: What was your online career before Moolah Facebook coaching courses? AND… before building viral websites I was a high school economics teacher. DC: What inspired you to create the Moolah courses? RM: A person who later became my mentor asked me, is this your gift (selling stuff to my audiences) or is building audiences your “gift”. And I realized that while I created a viral cat page, while I was invited to fold my laundry on Good Morning America after going viral, while I had a viral parenting site that allowed me to have bestselling books published in 20+ languages… while those were great, my gift was actually building the traffic. I was and am a “people collector”. 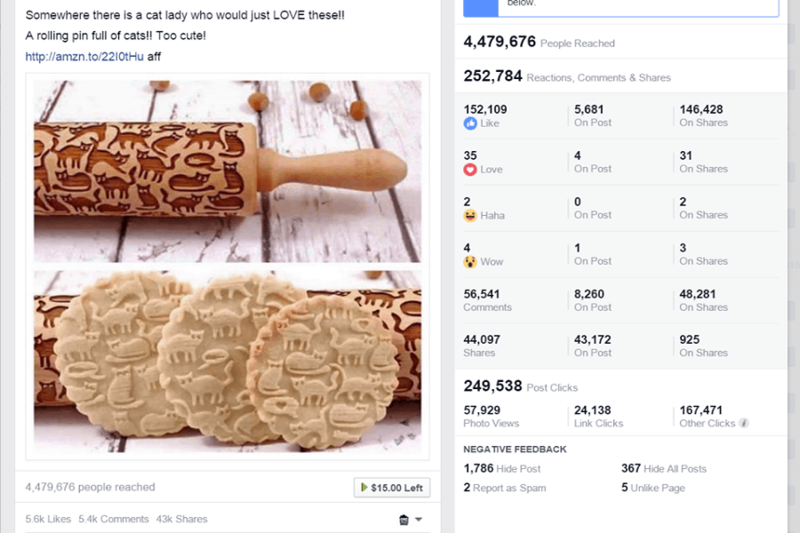 Facebook pages to more than a million fans. I just LOVE the thrill that comes when I get to make an impact on the world with my “gift”. AND THEN see those businesses grow and make impacts with THEIR gifts!! DC: Any success cases to share? DC: And why online is converting sales so quickly? RM: Online is where people are – and if we are selling something we need to be online too. Twenty years ago, we wouldn’t set up our store in the middle of a field in the middle of nowhere. We would set up shop downtown, off a major road. The same principle applies today. We want to have our business where the people are… only the cool thing is we can literally build our own online traffic “highway” directly to our products when we create our own audiences. Those audiences allow us to build businesses completely on our own terms! That is one of the reasons why I love my business. I can work from home, whatever hours I want, with my kids (I am a mom of six kids). DC: How do you help businesses go from anonymity to a known brand? What benefits can we gain from your online course? RM: An audience. And the skills to get an audience to talk to you. Anyone can go on Fiverr and buy likes. Building an audience of raving fans who tell others about your brand is a bit of a science. There are several videos explaining success stories from people who implemented Rachel’s Moolah Marketing Blueprints https://pw639.isrefer.com/go/get_the_course/socialmedia/.